In the hubbub of the past week, I completely forgot to mention my participation in Journal of Victorian Culture Online‘s Neo-Victorian Studies & Digital Humanities Week 2013. Check out an excerpt below, and follow the jump to read this academic article online. Thanks to Prof. Lisa Hager and the editorial board of the JVCO for giving me this opportunity. Steampunk studies is an outlier in Victorian scholarship. 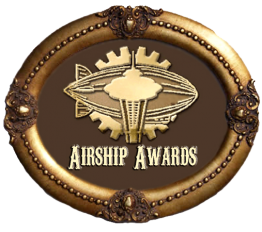 In fact, steampunk subculture can arguably be called “neo-Victorian” or even “non-Victorian” in the way that it defies strict adherence to a certain periodization or topic relevance. Steampunk is an aesthetic movement inspired by nineteenth-century science fiction and fantasy. Over the years, however, that umbrella phrase has expanded to include speculation outside of an established time-frame (such as post-apocalyptic or futuristic), outside of the established geography of the Western world, and even outside of history (as with alternate history and secondary fantasy worlds). How can we, then, describe the relationship between steampunk academic work and Victorian studies?